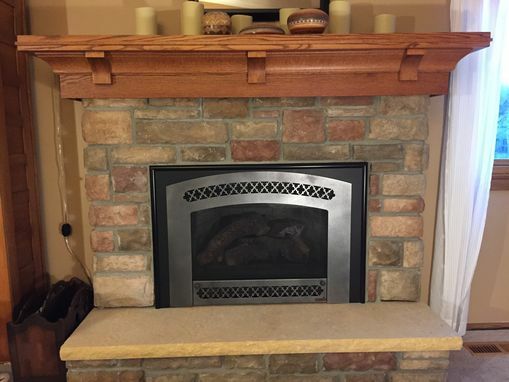 Customer had existing mantel that they did not like. Ordered this one! It has a wider top than normal (15") to cap the existing fireplace top. Customer sent dimensions and had discussions via phone to make sure everything was understood prior to production. Customer is very happy with the result! 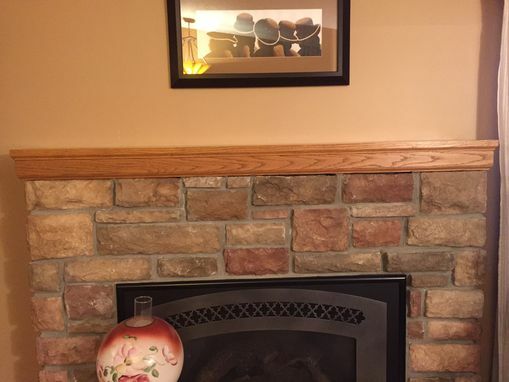 Last picture was what old mantel looked like. Price listed does not include staining and finishing. 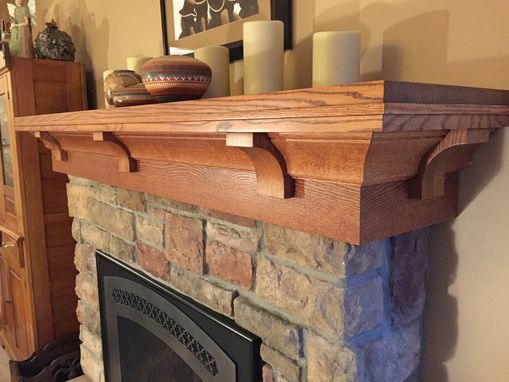 Lee with Custom Woodgrains has been a pleasure to work with! 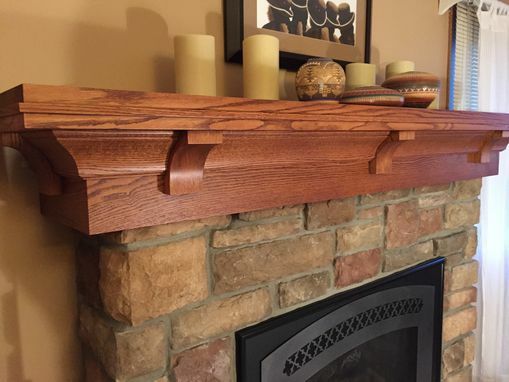 He has gone the extra mile to create a custom mantel, and his work has exceeded my expectations! 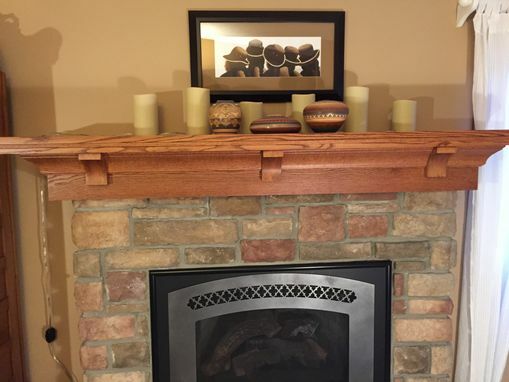 He sent very detailed drawings calling out dimensions, as well as stain samples so we could match our existing decor. It arrived in a custom made box that kept it protected, and it is absolutely breath taking! I highly recommend Custom Woodgrains! !